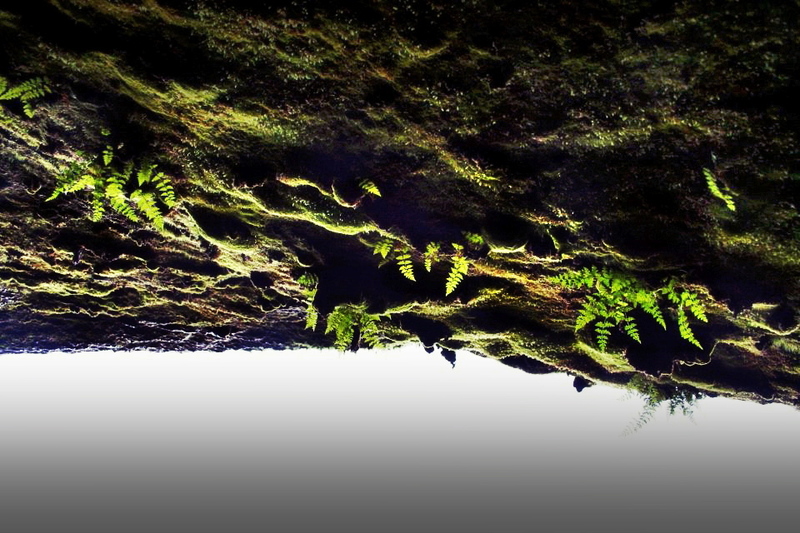 This image looks like it is upside-down, but it is actually the roof of a cave high up on a mountain on Snæfellsnes peninsula that has a waterfall tumbling in front of it – kind of like a miniature Seljalandsfoss. A couple of years ago EPI and I decided on a whim to take a couple of days and get out of the city. Snæfellsnes is one of my favourite places in Iceland, and one of the great things about it is that it is relatively close to Reykjavík – you can get there in 2-3 hours. We booked sleeping bag accommodation at a farm and when we arrived, around 6 in the evening, asked whether there was some place we could hike to that was relatively close. Our hostess pointed at the mountain that rose above the farm and said: “up there”. 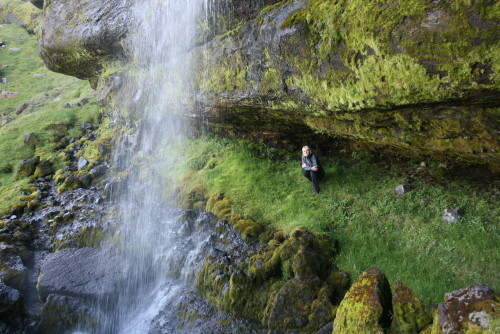 And this is where we found this gem – one of the myriad hidden wonders that are all over Iceland.